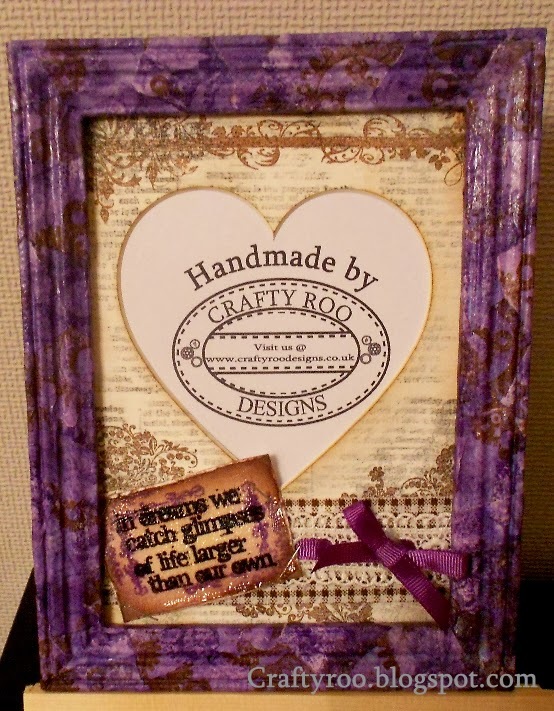 This frame is hot off the craft desk! I was sorting my stock for tomorrows market and realised I didn't have many frames made. At first I wasn't too sure about the bright purple frame, but as I started working on the centre I began to love it! The saying "in dreams we catch glimpses of life larger than our own" is one of my favorite sayings.